Our product range includes a wide range of Traditional Saree such as Designer Traditional Saree and Ladies Traditional Saree. We are offering wide range of Designer Heavy Worked Saree. 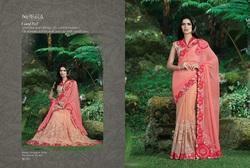 We are providing wide range of Heavy Worked Designer Sarees.